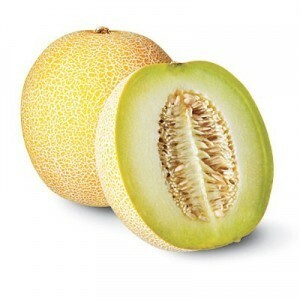 GALIA OR OGEN MELONS are super sweet Israeli melons that have netted rinds similar to cantaloupes but paler in color. The sweet pale green to almost white flesh has the consistency of a honeydew with what has been described as a spicy-sweet or banana-like aroma. When ripe, they slip from the vine.